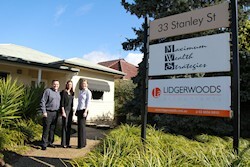 Lidgerwoods is proud to advise that we still continue to rapidly grow at rates well above our industry averages and thus you can be assured that our business is flourishing and we are here in Wodonga to look after your taxation interests for many years to come. The addition of Sophie Newnan as Director last July has worked incredibly well, and all clients now certainly have more than one contact at our office (together with Kate) to assist them promptly with all matters as they arise. This is still the cornerstone of our service offering to our clients – prompt and quality advice from US, and not from someone out the back room. We also take this opportunity to wish to congratulate the third member of our team Kate Marcuzzi on her recent commencement of a Bachelor Degree in Accounting at Charles Sturt University. Our door is always open, so please always contact either Sophie, Kate or Marc if you have any issues. Note: The Medicare levy of 1.5% generally applies in addition to these rates. # NOTE: Due to the application of the Low Income Rebate of $445, a normal taxpayer can declare income of $20,542 before incurring any taxation at all. Thus taxpayers below this income level may not even need to lodge a tax return at all. Editor: We strongly suggest that any clients, who think they may not need to lodge a return, should discuss their personal situation with our office prior to making this personal assessment of your situation. Sometimes clients in this circumstance may actually be better to lodge a return anyway due small tax refunds payable to them. According to the ATO, the fastest, most secure way to receive a tax refund is to have it paid directly into a nominated Australian bank account using electronic funds transfer (EFT). From 1 July 2013, individual tax returns will generally require bank account details, including BSB and account number, to be entered, where a refund is expected. Accounts merely need to at least be in the name of the taxpayer being refunded – thus a Partnership or joint account is sufficient if it is a refund being paid to one of the partners, and likewise a company account for a trading company income tax refund. Similar arrangements already exist for clients lodging Business Activity Statements (BAS’s) whereby BAS refunds will only be refunded directly to a nominated bank account. Editor: Whilst completing the prior year 2012 tax returns, Lidgerwoods clients had personal tax refunds directed to their own personal bank accounts on 96% of occasions, with the refunds deposited to these accounts within an average of 8-9 days of lodging the return. When preparing your tax return in 2013 year, please ensure your account details are current and correct to avoid any delays in issuing of your tax refund. IMPORTANT – Lidgerwoods does not hold a Trust Account and therefore does not offer the service to take our fees directly from your tax refund, thus we will not nominate our own bank account to collect your tax refunds – you must provide your own bank account/s. From 1 July 2013 (next month), the super guarantee rate is going up from 9% to 9.25% (and the rate will increase gradually over 7 years to 12% by 2019). Also, from 1 July 2013, the upper age limit for paying super for an employee has been removed, meaning that there will no longer be a maximum age for super guarantee eligibility. Employers with eligible employees aged 70 years or older will need to make super contributions to their super funds from 1 July 2013. Super funds will also be allowed to start providing a new type of super account called 'MySuper' from 1 July 2013, which will replace existing default accounts offered by super funds (a default fund account is one chosen by an employer for an employee who does not choose their own super fund). Therefore, it may be a good idea for employers to check with their current default fund to find out whether they will be offering a MySuper account. The government will phase out the net medical expenses tax offset, although there will be transitional arrangements for those currently claiming the offset. Self-education expenses on the chopping block! The Government has announced that it will “better target work related self-education expense deductions” by introducing an annual cap on deductions for such expenses from 1 July 2014 of $2,000 a person. Education expenses include formal qualifications and associated tuition fees, textbooks, stationery and travel expenses and also conferences, seminars and self-organised study tours. However, employers that provide education and training to their employees will continue to have this excluded from any liability for fringe benefits tax (FBT) unless an employee salary sacrifices to obtain these benefits. Editor: Although the Government states that they are targeting people making large claims for expenses such as first class airfares, five star accommodation and expensive courses, the introduction of a $2,000 annual deduction cap seems like a very blunt instrument to tackle such claims. Our tax agent associations are taking up the fight to ensure that 'regular' claims are not affected. Editor: In a recent case, the AAT has affirmed the ATO's ability to use industry benchmarks to amend taxpayers' returns where their record keeping is found to be insufficient and lacking. The taxpayer carried on a florist business in a suburb of Perth and her 2008 income tax return reported a cost of goods sold (COGS) of $259,982 and “Total business income” of $313,971. In September 2010, the ATO advised that the COGS for the florist business represented 83% of her reported business income, which was outside the ATO's COGS industry benchmark percentage range of between 44% and 54%. In the same letter, the ATO requested that she provide it with evidence that she was correctly recording and reporting her business income for the florist, including various specific records, and an explanation as to why her business was reporting outside the benchmarks for her industry. a spread sheet summary of cash register rolls for the period 5 April 2008 to 30 June 2008. The ATO advised the taxpayer that, as she had forwarded only partial 'Z summaries' of her till tapes and failed to reconcile her cash takings, it had applied the COGS benchmarks for the florist industry, increasing the income of the florist business by more than 50%. This resulted in a shortfall of income tax of $57,389 and a shortfall of GST of $16,745. The ATO also applied penalties of 50% on top of these shortfalls. Very little further evidence was provided to the hearing and neither the taxpayer nor any other witnesses appeared. Based on the evidence before it, the AAT decided that, in the circumstances, it was open to the ATO to apply the COGS small industry benchmark range (of 44% to 54%) for the florist industry and increase the income of the florist business for the 2008 year therefore, increasing the taxpayer’s income tax and GST liabilities in respect of that year. Editor: The ATO provides specific guidance about the types of records they expect to see from businesses that use cash registers (i.e., they accept that the rolls of tape may be discarded after one month provided that the person has reconciled the “Z-totals” with actual cash sales and bankings for that period). Lidgerwoods has in the past year had several circumstances of increased ATO scrutiny, review and audit. We strongly urge clients to review the Accountancy Insurance offer that we send to all clients in October/November each year. By taking up the offer, you will then be covered for such review and audit by the ATO, or other government department – just like a few of our clients whom made a claim on this policy during the year without incurring any direct cost from our office to act and resolve the issues raised by the ATO. The luxury car tax threshold for the 2013/14 financial year has been indexed to $60,316 (up from $59,133 for the 2012/13 year) and is used to determine if luxury car tax is payable. The fuel-efficient car limit for the 2013/14 financial year is $75,375 (unchanged from the 2012/13 year). Editor: If you are considering purchasing a business or work vehicle above these thresholds, please contact Lidgerwoods Accountants first, as your deductibility can be restricted in some situations and this should be taken to account prior to purchasing the vehicle.